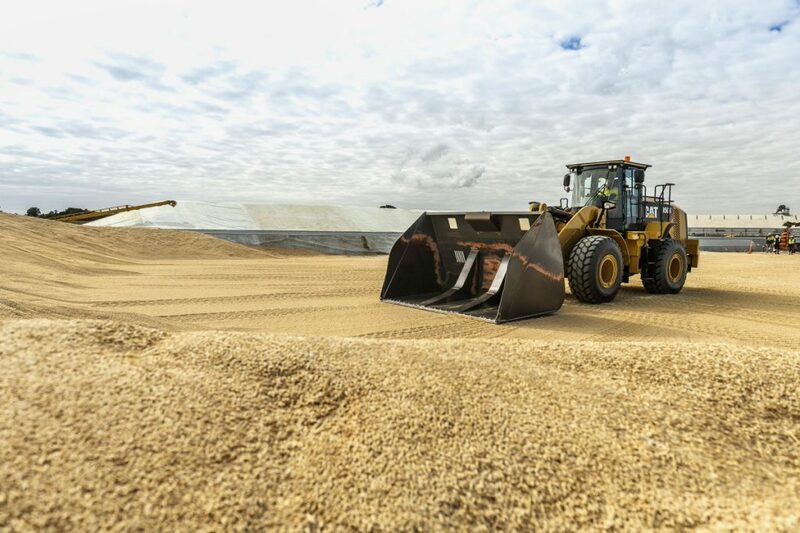 DAILY price rises of around $5 per tonne per day have been the hallmark of the past week for feedgrain markets, with Australia’s benchmark, the January 2019 ASX eastern wheat futures price, lifting A$25/t to finish Wednesday’s trading day at $409/t. What delivered Darling Downs is this week being quoted at an unheard-of $450/t. Barley has lifted by a similar amount, while corn values have shot up by more than $50/t in the past week, and cottonseed prices jumped another $50-80/t again this week after rising $60/t the previous week. Market uncertainty has fuelled price rises, as graziers attempt to feed animals, and other users attempt to cover forward risk. The wide range of reports of prices traded this week has fed fear among many unaccustomed to paying so much money for grain, and even feedlotters are finding little comfort in their long-sighted buying strategies. Feedlots started this year with a generally strong position of grain cover, according to Integrated Animal Production principal, Rob Lawrence. Dr Lawrence said before the dry set in, most people had good coverage through to the end of the year, and even early into 2019, so even if the winter harvest was poor, they had expected to be able to get through on their forecast numbers on feed. “The decision now for feedlots is whether they should buy hand to mouth and hope that there is decent rain to grow a summer crop. In one of New South Wales’ most reliable and high-yielding cropping regions, Liverpool Plains-based Agracom director Brett Donohue agreed, saying a recent grower forum attended by 100 people reported none had dryland winter crop to harvest. “The Liverpool Plains is probably the epicentre of the worst crops in NSW. “Growers have put a line through the winter crop, and everyone’s looking for a summer-crop break to plant cotton or sorghum. “ASX wheat futures over the week have gone from the mid $380s to $405-410/t. “In a way, ASX has been the price leader in this market, possibly with consumptive demand sitting on the bid. The spread between the new-crop delivered Darling Downs market and the Melbourne/Geelong new-crop track market which is reflected in ASX values, has narrowed, as the track market has climbed faster than the delivered. “That spread had been trading at $60-$80/t, but recently has been valued a little less. Mr Donohue said the sea, rail and road market prices were doing their work to draw grain from west and south to keep supply moving, and that the flow of grain would need to continue. He said the direction of the flow of grain was changing and might stay that way for up to 18 months. “All of a sudden grain is pricing at the port to be dragged up-country, versus the traditional flow going the other way. It means we have to change our mindset. “We don’t see that changing any time soon. Western Australia’s encouraging crop outlook has maintained optimism for a crop of 8 to 9Mt which, with back-up from South Australia and Victoria, should enable the pathways for grain to keep moving east and north. 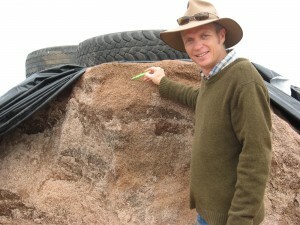 Dr Lawrence said sourcing fodder has become “a nightmare” for cattle feeders. Dr Lawrence said consideration of sugarcane as a potential source of feed indicated the point at which the fodder situation had become dire. “Some people have good fodder cover with conventional hay or silage, but the strong cottonseed market is putting even more pressure on forage availability.